I would like to introduce you to Mocha. 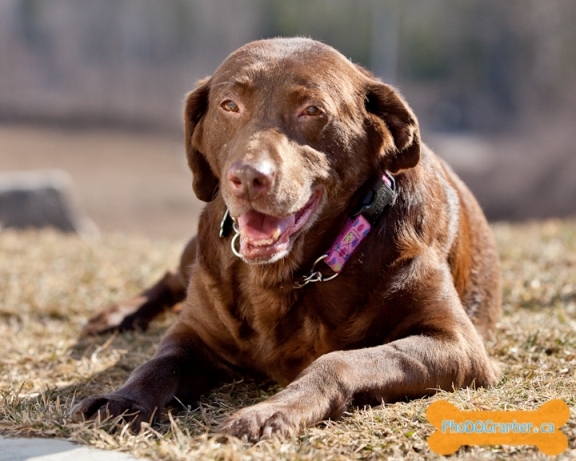 Mocha is a 10 year old chocolate lab who was rescued from an Amish puppy mill. She was bred and bred for profit, never knowing the love of a human, only used for the puppies she would breed and the profit those puppies would provide. Like all puppy mill rescues, Mocha is not house trained. She is a bit timid and scared of the outdoors but with a lot of love and patience she will overcome that fear and will, I’m sure be able to be trained. She is full of scars and her tummy will never be trim as a result of all the breeding, but she is a gentle, loving dog who will make a good pet for the right family. Are you the person who can show Mocha that there is someone out there who will love her till the end of her days, and who will teach her what it really means to be a dog? If you are interested in adopting Mocha or would like more information, please contact adopting@hopefulhearts.ca.